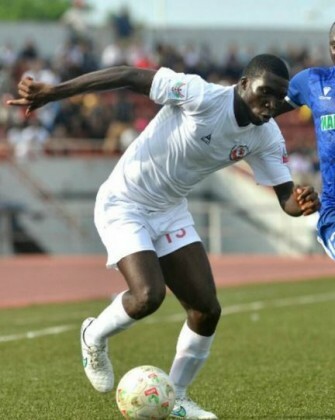 The management of Rangers International FC Enugu said on Friday it had not seen its Midfielder, Christian Madu in the last three weeks. The club’s Director of Media and Publicity, Foster Chime, made the disclosure in a statement in Enugu. Chime said the club’s Chief Coach, Chukwuma Agbo, had explained that the player sent him a letter that he was going for a check-up. “The letter did not specify the type of sickness, where or when he would be treated. “The letter came immediately after the Rangers versus FC Ifeanyi Uba match in Enugu. “Since then, he has not reported for training or seen anywhere around the Coal City Flying Antelopes camp, which means he has gone Away Without Official Leave (AWOL). “He did not present himself to the team doctor, who is a consultant physician,’” the statement said. It said the League Management Company had been informed of the development for necessary action. The statement said the management had equally stopped his salary for leaving Rangers’ camp without official permission. It added that the club’s General Manager, Christian Chukwu, had expressed disappointment with the development.